Close to 15% of the global population will experience migraines at some time or another. Despite decades of empirical and anecdotal evidence, studies and research, the exact causes of migraines are still unknown. Sufferers, or migrainers, are advised to avoid migraine triggers; those that are well documented. Other research suggests links between environment, genetics, diet, and hypothyroidism. Associated conditions and symptoms with one or all of the above include depression, anxiety and recurring/constant neck pain. If you are a migrainer and also experience high blood pressure, frequent neck pain, carpal tunnel syndrome and depression, these may/may not have a direct relationship to your migraines, but they may still qualify as comorbid conditions. Comorbid conditions typically present at the same time, whether by default or after a series of internal triggers. Indeed, decreased livelihood and social activity owed to migraines may exacerbate depression, and both can adversely affect even healthy thyroids or vice versa. Physical discomfort, particularly neck pain, is a symptom of all of the above. Migrainers will encounter one of two main types of migraine: With aura and without aura. Both are formerly known as classic migraine and common migraine respectively and are distinguished from other headaches by persistent throbbing on one side of the head that worsens with movement of the body. What distinguishes the two? Aura migraines are denoted by distinct sensory disturbances occurring anywhere from two to 24 hours before and during a migraine. Disturbances, like partial blindness and/or visual distortions, occasionally persist during the initial aura migraine phase. Throbbing on one side of your head. After your migraine, deep fatigue and mental fog often persist for hours or days. Hypothyroidism sometimes intensifies these symptoms. Also, neck pain will feel more acute as pressure builds in the cranial and neck region. Old neck injuries will seem new again or may manifest as sharp and/or diffuse. 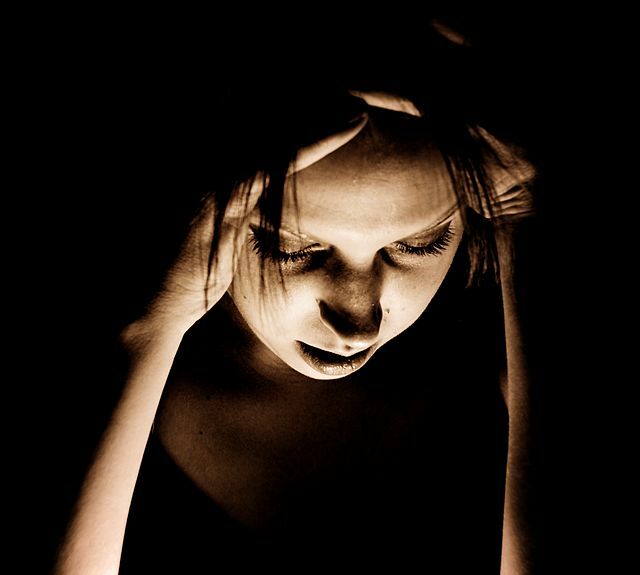 Age, family history and certain medical conditions are also thought to be migraine triggers. Occasionally, structuring your daily life to encompass preventative measures either around the time you feel a migraine coming on or in general is thought to help with lessening migraine intensity and frequency. Hormones are believed to be another main trigger. This accounts for the equal occurrence of migraines among adolescents and the gender based disparity that presents after puberty. Testosterone levels swell and gradually even out in a man's 20s but estrogen/progesterone levels in women continue along a very complex, delicate trajectory for years thereafter. The thyroid, a part of the endocrine system responsible for producing its own variety of key hormones, is an understandable culprit. Neck injuries sustained during auto accidents may correspond to migraine-like conditions that are simply waiting to be triggered. In addition, the correlation between pain/pressure in the neck and subclinical thyroid dysfunction is well documented. Both are associated with migraines. It is possible that individuals with chronic neck pain and migraines are candidates for thyroid dysfunction, even while their lab tests may repeatedly reflect nothing. In such events, second and third opinions from other specialists are strongly advised, and the migrainers in question would do well to brush up on all aspects of their symptoms and related medical conditions. Migraine prevention is worth investigating also. There are documented cases where migrainers have lessened migraine frequency and intensity with a combination of natural supplements like herbs, vitamins, minerals and antioxidants and various therapies. Some of the more standout therapies are Exercise With Oxygen Therapy (EWOT), Therapeutic Movements (ATM2), Blood Type Diet Counseling, Nambudripad's Allergy Elimination Techniques (NAET), Acugraph Digital Meridian Imaging testing and treatment. Avoiding triggers is also key. Triggers are different for each person. Trial and error is unfortunately the best means to catching triggers and learning to circumnavigate them. Once identified, triggers can be desensitized using NAET. Lifestyle changes like getting more sleep and exercising are advised. These generally improve health and the body's ability to process and bounce back from severe pain. If you've been in an auto accident or any other sort of collision within the past few years and have noticed a frequency of migraines since then, expert feedback from several physicians is strongly recommended to uncover the possible comorbid conditions associated with your migraines. Because symptoms of neck pain, musculoskeletal pain, migraines, depression and the thyroid malfunction are all so closely related, seeing that you receive multiple objective opinions about their combined causes is crucial. It might be possible to address underlying conditions by simply taking steps to prevent migraines. Or seeing to a dysfunctional thyroid and correcting it with the right therapies could conceivably end your migraines and bodily pains.